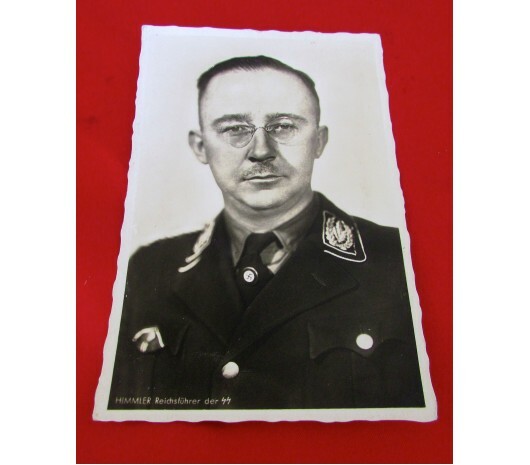 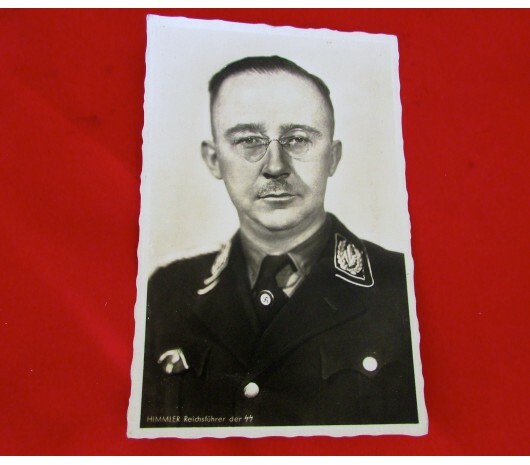 Obverse portrait photoshows Himmler in his Black Allgemeine SS Uniform with his NSDAP party badge onhis tie and a buttonhole mount Blood Order Ribbon over his breast pocket. 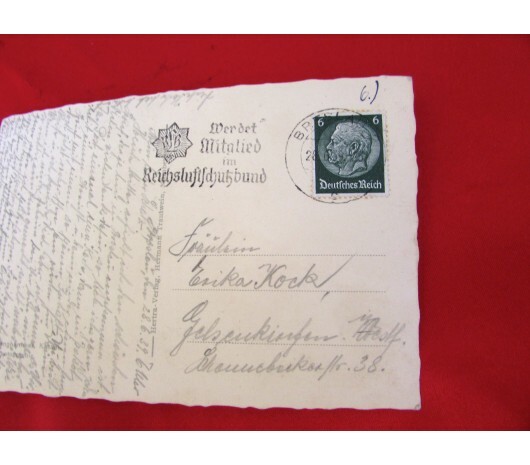 This appears to have been sent to a FrauleinErika Koch with a sizable message. 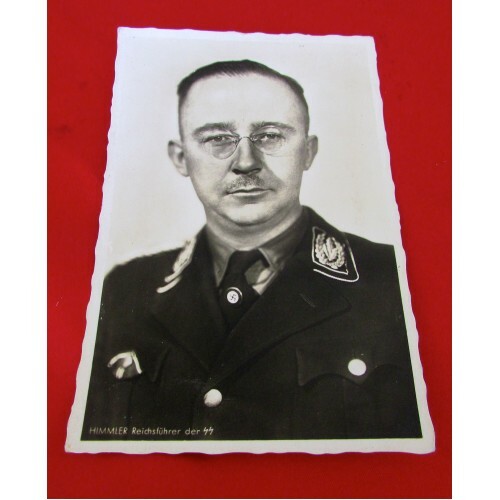 RLBpost mark. 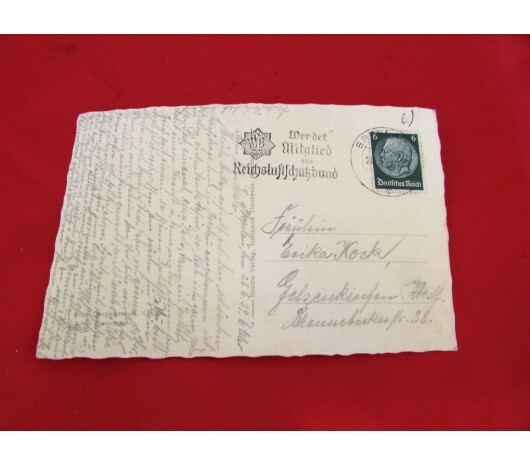 Has rouletted edges and a 6 pfennig Hindenburg stamp. 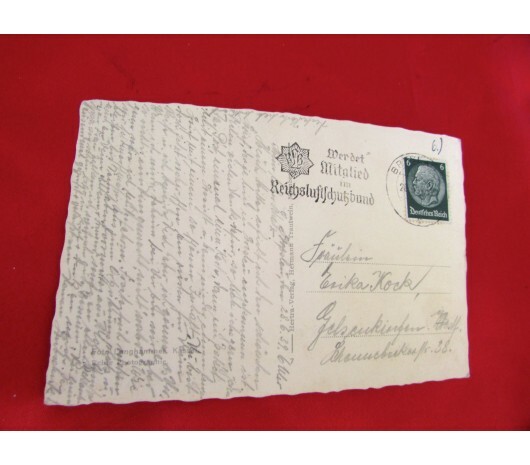 Postally Cancelled Breslau 28-6-39.